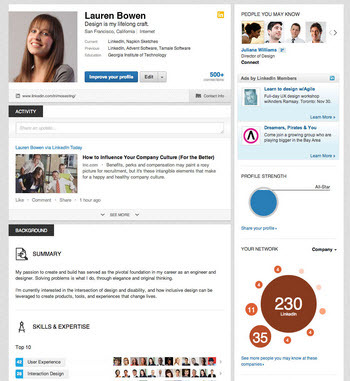 I'm sure you've noticed that over the last 6 weeks LinkedIn has been rolling out new profiles for all users. What separates the most effective Sales Reps on LinkedIn from the rest? You can access the full 37-page ebook (no registraion required) below. Feel free to share it with your teams. We've included a checklist at the end of the ebook. It should help you work with your reps to make sure they have the fundamentals of LinkedIn well in hand.